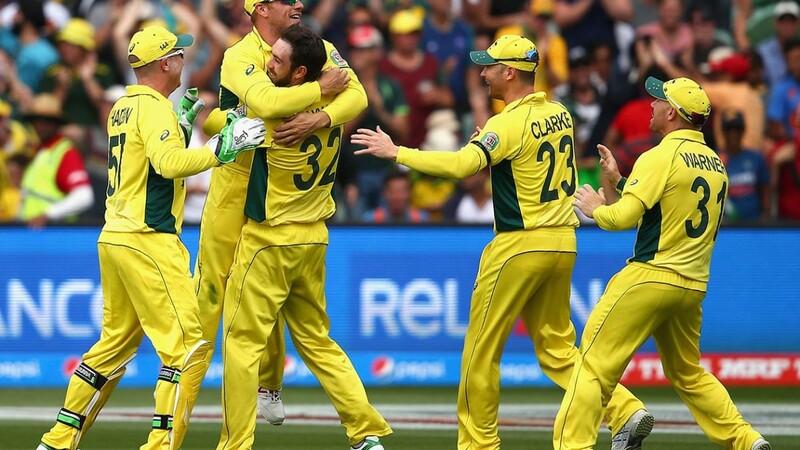 Australia celebrating win against Pakistan as they reach the Cricket World Cup semi-finals. But Steve Smith countered with a measured 65 and Shane Watson capitalised on a dropped catch to steer Australia home with an unbeaten 64. Earlier, Josh Hazlewood took 4-35 as Pakistan slid from 97-2 to 213 all out. 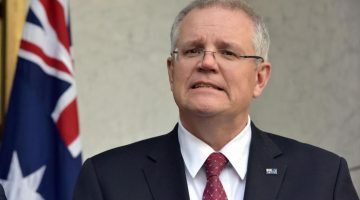 For a short period, however, their progress was in serious doubt as Riaz rattled their top order with a hostile spell of left-arm fast bowling that had Kevin Pietersen and Allan Border purring in the Test Match Special commentary box. Sending the ball down at over 90mph, Riaz had Warner caught off a mistimed uppercut before Clarke was undone by a throat-high bouncer that lobbed up off the splice into the hands of Sohail Maqsood at short mid-wicket. With Pakistan on top, Watson was given a working over by the fired-up Riaz, who also took every opportunity to direct verbal barbs at the struggling batsman. He almost became Riaz’s next victim when he top-edged a pull shot to fine leg where Rahat Ali got right underneath the ball only to let it slip through his grasp. It looked a pivotal moment at the time and so it proved as Watson grew in confidence and began to drive and pull Pakistan’s less pacey bowlers to the boundary. 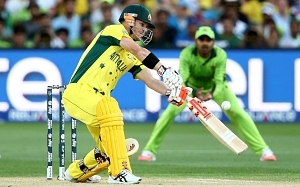 At the other end, Smith was calmness personified as he stroked his way to a run-a-ball fifty. Earlier Pakistan captain Misbah-ul-Haq, playing Australia for the first time in an ODI in their backyard, won the toss and elected to bat – a decision that would doubtless have pleased Hazlewood, who returned in place of Pat Cummins. 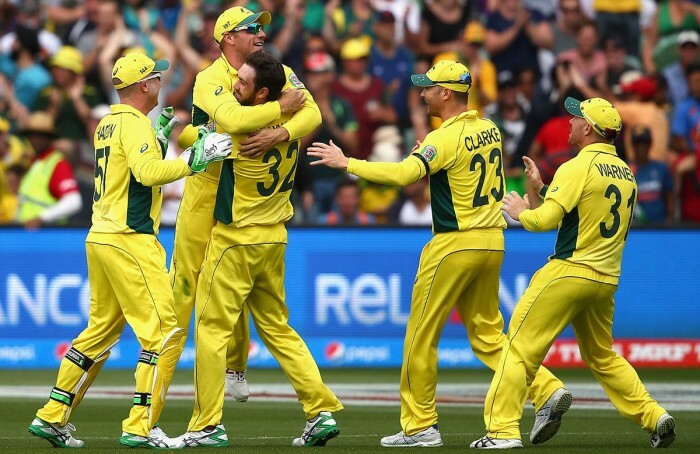 But it was another New South Wales quick, left-armer Mitchell Starc, who set the tone for the co-hosts, drawing an edge from the in-form Sarfraz Ahmed with the score at 20 in the fifth over. At a tick over 150kph, the ball flew to the right of Watson at first slip, who did brilliantly to dive and hold the sharpest of chances. Starc then opted to employ the aggression that has propelled him to new heights in this World Cup, dishing out a send off as Sarfraz exited stage left. It was the first of a series of aggressive mid-pitch meetings throughout the course of the match. Meanwhile, Hazlewood’s inclusion might have slightly reduced the flat-out speed of the Australian attack but it did nothing to diminish its effectiveness. Shortly after Sarfraz departed, Hazlewood took the wicket of Ahmed Shehzad with the first ball of his third over as Clarke moved low to his right to claim a healthy edge at second slip. In the space of four balls, two wickets had fallen and the complexion of the contest had shifted. And two deliveries later, it almost shifted again. Incredibly, for the second time at this tournament, the Zings bails lit up but failed to fully dislodge as Misbah – who had shuffled across his crease and exposed his leg stump to Hazlewood – avoided a duck by the narrowest of margins in what turned out to be his final ODI innings.